The Writers' Lens: Historical fiction author Nicole Evelina: "It all begins with the research"
Historical fiction author Nicole Evelina: "It all begins with the research"
Welcome to Nicole Evelina, a multi-award-winning historical fiction and romantic comedy writer. 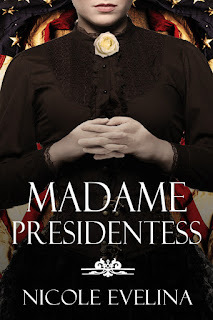 Her most recent novel, Madame Presidentess, a historical novel about Victoria Woodhull, America's first female Presidential candidate, was the first-place winner in the Women’s US History category of the 2015 Chaucer Awards for Historical Fiction. Nicole’s writing has appeared in The Huntington Post, The Independent Journal, Curve Magazine and numerous historical publications. She is one of only six authors who completed a week-long writing intensive taught by #1 New York Times bestselling author Deborah Harkness. 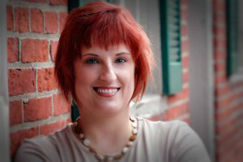 As an armchair historian, Nicole researches her books extensively, consulting with biographers, historical societies and traveling to locations when possible. The Writers’ Lens is about "Bringing fiction into focus." What brings your writing into focus-- the characters, the stories, the love of words? I primarily write historical fiction so for me it all begins with the research. That is where the bones of the story come from and I begin to get a sense for where the story is going and of the characters, both historical and fictional. Then that initial focus sharpens as I begin to hear the characters in my head, cast actors and actresses in their roles and then do my outlining. By the time I begin writing, I have a pretty clear vision of where I’m going. But I also know that at some point – maybe more than once – the characters will take over and do something totally unexpected that messes with my outline. It’s always right, even if I try to fight it. That moment, to me, is the essence of the creative process. How do you find time to write and do a demanding job? It’s not easy. Obviously, the day job has to come first because it’s what enables me to write and publish. When I’m not at work, I’ve learned to do what I can, when I can, and prioritize my writing over other things, like cleaning my house or doing laundry. As a wise friend of mine said, “If something is really important to you, you will make time for it.” She also reminded me that no one will be inspecting my house other than me and that as long as I have clean underwear and clothes that don’t smell, I’ll be fine. I’m not a write every day kind of person due to my schedule, so I won’t tell you to do that, but definitely try to grab time when you can. I try to at least think about my book each day so that I’m advancing it in some way, even if I don’t have time to write or do a marketing thing. I also recommend turning off your TV if you want to find extra time to write. A few years ago, I got rid of cable and now I don’t really even watch much over the air TV. I do allow myself a few favorite shows on my Kindle, but only while I’m eating. It’s more peaceful in my house now and I have more time to read, research and write. What inspired your latest book? 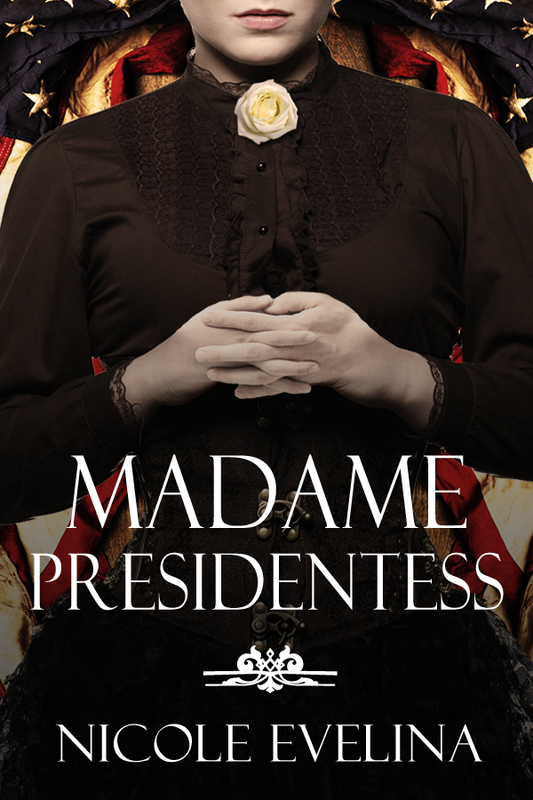 My most recent book is a historical fiction book called Madame Presidentess. It’s about Victoria Woodhull, the real life first woman to run for president in the United States in 1872. I knew then and there I had my next book subject. I mean, any woman called Mrs. Satan is someone I need to learn more about. And the more I learned, the more fascinated I became. I also became angry that we didn’t learn about this important, powerful, ground-breaking woman in school. As a historical fiction writer, I’m attracted more to the stories that are nearly forgotten; I view it as my mission to help bring them to life so that at least one more generation remembers them. I couldn’t stand the idea of another generation of girls being denied a role model (such as she is) just because history nearly forgot her. Would you share a bit about your next project? I’m hoping to be able to turn my attention soon to re-writing the crappy first draft of Mistress of Legend, the third and final book of the Guinevere’s Tale trilogy and also begin research on a WWII-era historical fiction that tells the story of a real-life unsung hero of the war and Holocaust. How much fact is in your fiction? It depends on the story. There is much more fact in Madame Presidentess than you’ll find in any of my Guinevere novels, but that is mainly because there is so much more available on a public figure from the 19th century than a Celtic queen in fifth century Britain who may or may not have been real. If I’m writing a biographic novel, as I did with Victoria and plan to do with several other near-modern era historical women, there will be a lot more history because I’m dealing with a real person and need to be true to her life. Plus, in many of those cases, I’m also educating because they aren’t well-known. However, I have other stories in mind, some of which are set in more ancient times or have fantastical elements in them, that will tip the scales in favor of the fiction. So there’s no definitive answer. But either way, I’ll have detailed authors notes in the back that help my readers separate fact from fiction! MADAME PRESIDENTESS: Forty-eight years before women were granted the right to vote, one woman dared to run for President of the United States, yet her name has been virtually written out of the history books.